Today I have a sneak peek for you! 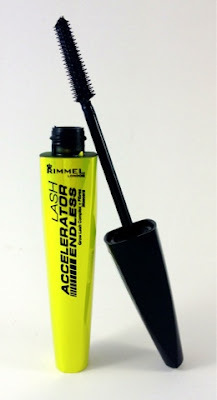 Influenster and Rimmel London teamed up to give a few Influensters an early look at Rimmel Londons Lash Accelerator Endless Mascara a month before it's release. I received these products complimentary from Influenster for testing purposes and to let my lovely readers see what it's all about! Rimmel London has previously released a lash accelerator mascara that instantly gives you up to 80% visibly longer looking lashes and up to 117% visibly longer looking lashes after 30 days of use by using a formula to support lash growth. They will be releasing the second mascara to the family sometime in July. Rimmel London Lash Accelerator Endless Mascara (what a mouth full) instantly extends lashes by up to 99%, has micro-fibers that lengthen and a separating brush that catches lashes for no clumps. This mascara contains a Grow-Lash Complex of Procapil, Keratin and Antioxidants that conditions lashes while strengthening and growing them. Not to mention that it does come in a pretty cool metallic highlighter yellow bottle. I tend to go for defining mascaras. My lashes are naturally long and curl on their own so I've never needed a lash curler. My lashes are pretty blonde so I like to use something that will give them a nice black coat to show them off. I prefer mascaras that don't volumize since I've already got lots of lashes. 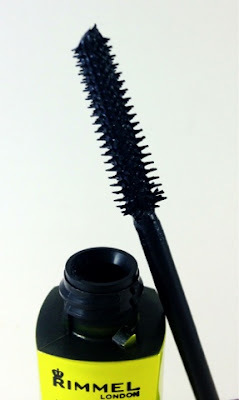 The Lash Accelerator Endless Mascara brush is a typical mascara brush. It has a cylindrical shape with rubbery spikes coming out on all sides. They are flexible and move through lashes easily. Now for my personal experience! I've only been using Lash Accelerator Endless Mascara for about a week now. The above picture shows me sans makeup. And below I have a little bit of Sephora Smoky Khol Eyeliner in Grey on the inner waterline paired with the Lash Accelerator Endless Mascara. See what I'm talking about! I have inviso-lashes. They're long and curled but can't be seen until I have a nice coat of mascara. 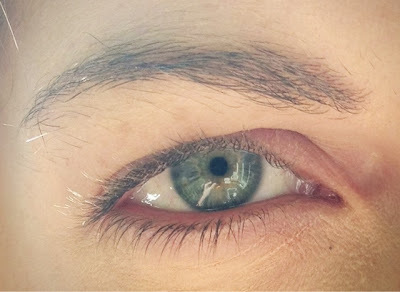 Ps - no brow comments, I know they're messy, I've been waiting for them to grow out a bit so I can head to the waxer. I found Rimmel Londons Lash Accelerator Endless Mascara defined and coated my lashes quite well. What I really enjoyed was how my lashes stay soft and flexible to the touch once the mascara dried. Because the mascara was able to move and breath with my lashes there was a great staying power all day long. I did have a few more things I noticed however. This has been one of the messiest mascaras I've used! I think it is because of the lengthening microfibers. When I applied, this mascara always ended up on my lower lid and brow bone somehow when I blinked. I don't typically have this problem with mascaras so perhaps it really is lengthening and I'm not used to the lash length when I'm blinking waiting for the mascara to set. The stray marks were pretty easy to clean up but if I were wearing eyeshadow it would have been an issue. I may have to use lash cards or a tissue when applying so I don't make a mess. While this mascara claims no clumps I did get a few very small ones but I could brush them out while the formula was still wet. As for growing your lashes to be longer naturally I'll have to come back for an edit after 30 days have gone by and let you know if my already long lashes have grown into redwood lashes. Overall this mascara works well. Very redeeming if you want silky soft lashes even if you're wearing mascara. For ladies that are looking for length I definitely suggest picking this up next month when it releases. I'll be excited to see if it really does grow lashes longer and thicker in 30 days. For those of us with long lashes already make sure you've got some lash cards before applying since this lengthens extra for you. Thanks Influenster for sending this my way! If you are interested in becoming an Influenster member head on over to their site and sign up. They will send you packages full of goodies that apply to your demographic so you can review and test products out. I've always had a lot of fun with my Influenster packages. What kind of lashes do you have? 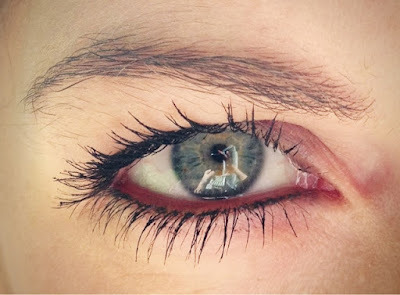 Would you enjoy a lengthening mascara that grows your lashes? I am a fan of these rimmel mascaras so I'll have to try this out!